Poems Are Made of This – Magical Russia condensed in a single, glittering, literary jewel. The Bear and the Nightingale is a magical Russian fairy-tale of a novel, a gorgeous Ivan Bilibin illustration come to life. There are rusalkas, upyrs, and domovoi, the supernatural creatures of Russian folk-tales; Tsars and boyars, priests and peasants, the traditional inhabitants of medieval Russian tales; and there are bears and wolves and snow and unrelenting winter that in an instant evoke Russia for us in our imaginations. Then there is Vasya, the heroine of the tale, whose courage and resourcefulness when facing family troubles, natural disasters, courtly intrigues, mad monks, and a deep, implacable magical evil make the fairy tale real and immediate. Author Katherine Arden has written the best of books: a book which we never knew we wanted, and now can't live without. 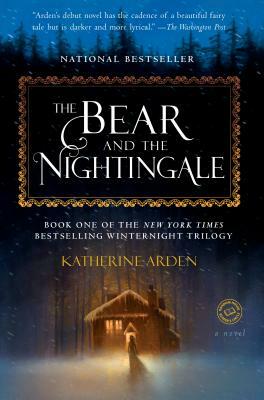 The Bear and the Nightingale is orginal, brilliant, and wonderful. My highest recommendation.